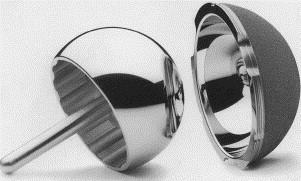 All metal on metal hip implant systems suffer from the same defective design. In July 2012 the FDA announced STRYKER ORTHOPEADICS had voluntarily stopped marketing and recalled its REJUVENATE MODULAR HIP SYSTEM ®, including theREJUVENATE MODULAR ® and the ABG-II ® modular hip stems. The REJUVENATE MODULAR and ABG-II hip stems were recalled because of ongoing reports of fretting and/or corrosion of the hip stem causing pain, swelling, tissue damage requiring removal and replacement of the hip implant. We are also investigating cases involving all metal-on-metal hip implants. If you are experiencing symptoms from a metal-on-metal hip implant, regardless of manufacturer, please contact us today. These other hips are made by the manufacturers Biomet, Depuy, Howmedica, Smith & Nephew, Stryker, Wright, Zimmer, and others. For more than 30 years the Andrews & Thornton team of experienced attorneys have successfully obtained compensation for individuals injured by defective, dangerous medical devices and unsafe drugs . Let us help you or your injured loved one.